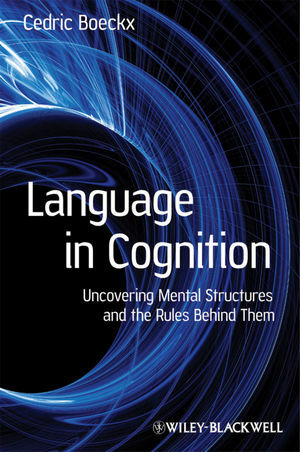 Explores questions such as: what does it mean to say that linguistics is part of the cognitive sciences; how do the core properties of language compare with the core properties of other human cognitive abilities such as vision, music, mathematics, and other mental building blocks; and what is the relationship between language and thought? Cedric Boeckx is Research Professor at the Catalan Institute for Advanced Studies (ICREA), and a member of the Center for Theoretical Linguistics at the Universitat Autònoma de Barcelona. Most recently he was Associate Professor of Linguistics at Harvard University. He is the author of Islands and Chains (2003), Linguistic Minimalism (2006), Understanding Minimalist Syntax (Wiley-Blackwell, 2007), and Bare Syntax (2008); and the founding co-editor, with Kleanthes K. Grohmann, of the Open Access journal Biolinguistics. 1. Mind Matters: Chomsky’s Dangerous Idea. 2. The Mechanization of the Mind Picture. 5. The Variety of Linguistic Experience: The Towers of Babel and Pisa. 7. Making Sense of Meaning: An Instruction Manual. 8. Wonderful Mental Life: Unthinkable without Language. 10. The (Mis)Measure of Mind.